Elkhart Memorial jumped out to an early lead after taking 23 points in the first three events, and that lead proved to be too big for Warsaw to come back from in its home-opener Thursday. The Tigers were led by Nick Miller as he took first place in both the shot put and the discus. Warsaw had another strong showing by Connor Lennox in the field as he took first in the high jump and teammate Tyler Metzger took second. 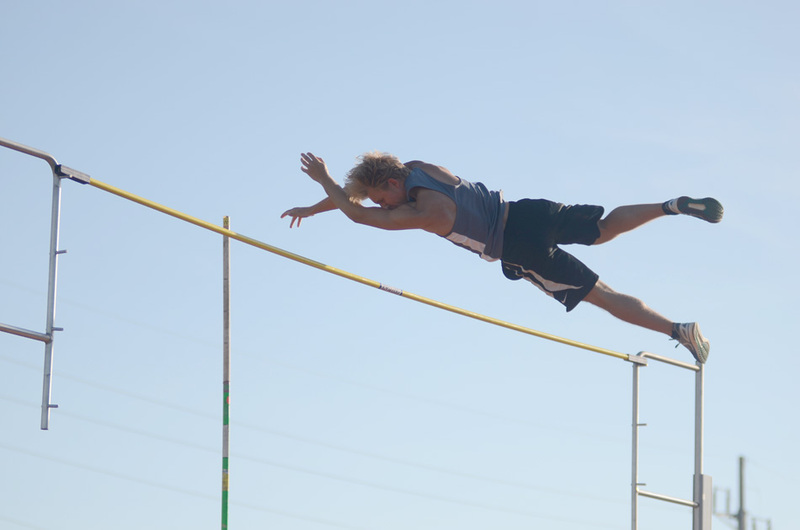 The pole vault featured another one-two finish for the Tigers as junior Nick Bazzoni took the win and senior Hunter Metzger finished second. Mason Martz and Keagan Larsh took first and third in the long jump, respectively, finishing up the field events strong. On the track the Tigers were led by Tanner Stiver as he brought home first place in the 800-meter run. Senior Alijah Wade also was able to have a strong showing in the 200-meter dash giving the Tigers another event win. Athletes that finished runners-up were Sam Lechlitner in the 1600-meter and the 3200-meter run, Isaac Mitchell in the 400-meter dash and Eli Owen in the 300-meter hurdles. The Tigers have a quick turnaround as they travel to Lafayette Jefferson High School tomorrow to compete in the Lafayette Jefferson Bronchs Sprinters Showcase. This meet consists of the top sprinters from the state of Indiana. The meet will start at 6 p.m.
Wawasee boys track and field split a three-way Northern Lakes Conference meet with Concord and Plymouth at home in Syracuse Thursday. Complete results from the meet were unavailable. Lakeview’s eighth grade girls track team handed Manchester a loss Thursday. Mikayla Mimnaugh finished first in both the 100 and 200 hurdles, as well as the 200-meter dash. She earned her fourth win as part of Lakeview’s 4×400 team alongside Joey Rastreli, Kiana Rager and Rylee Burns. Burns also won the 800 meters, the 400 meters and was part of her team’s winning 4×100 relay with Ryan Darlington, Rager and Chrissy Rice. Kyrah Durst won the discus, Tiana Davis won the high jump, Kinsey Atkins took first in the long jump, and Grace Luce won the shot put. Lakeview’s seventh grade girls beat Manchester Thursday. Shayne Smith won the 100 hurdles. Sarah Handy won both the shot put and discus, Joey Rastrelli won both the 1600 meters and the 800. Addison Mehlberg placed first in the long jump, and Elizabeth VanderBrie, Brooke Bolinger, Lucy Henn and Maddie Allebach won the 1600-meter relay.